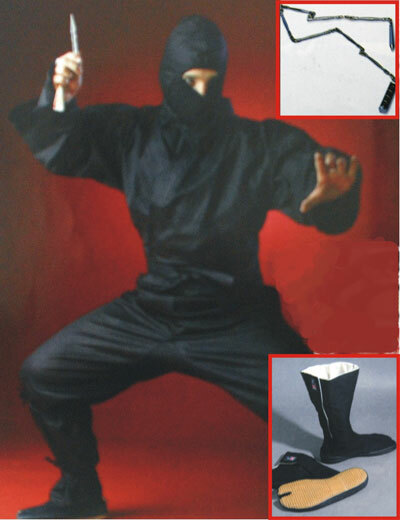 Ninja Uniform set Includes:Jacket,Pants,Stretch Mask, Hood,Hand forearm Covers with finger loops. Jacket has hidden pocket for Ninja Star. and Traditional Drawstring waist Pants for comfort. We also carry Ninja Tabi Boots (sold separately).